The world is always changing. Some lifetimes experience more change than others, and it’s clear that our lifetimes have seen an immense change in the way of technology. The world has gone digital in the blink of an eye and at times it can all get just a little confusing. Not to worry! We’ve outlined a few simple tips to help you when navigating this new online world, and a few to help you use it to your benefit! Whether you have an iPhone or an Android, any kind of smartphone has settings that can be changed to your preference. Settings that can easily be changed are things like; text size, alerts, emergency settings, and how you unlock your phone. It’s always recommended to keep a passcode or a touch ID to unlock your phone so that if it were to get stolen, it locks up. Another feature you can turn on specific to iPhones is a locations application that allows only the people you want to see the location of your phone. This is a great feature for emergency situations. If you’re trying to change your smartphone settings and are getting stuck, enlist a friend or utilize one of the most helpful tools invented in this century, Google! There has been a multitude of phishing scams targeting seniors in the last few years. One of the most prevalent ways these scammers contact their potential victims is through email. Best practice is to simply leave any email that comes from someone you don’t know unreplied. To go one step further, you can mark that particular message as spam so that any similar emails skip your inbox and go straight to the spam folder automatically. If you’re unsure about an email, enlist help! Ask a close friend or family member to look over the email and give their opinion on the nature of it. A good rule to follow is to ignore the email if it is asking for anything from you. This could be contact information, strange advice, or even money. Seniors are currently the fastest growing demographic using Facebook. So the idea that social media is just for younger generations has very much changed. There are so many great ways to utilize social media. Keep in mind that while Facebook is a great way to connect with family and friends, it’s a public domain so setting your privacy settings is key if you want your interactions and information to remain private. Something else to keep in mind is the difference between posting on a public page and using private messaging. If you’re sharing information like location or other information that should remain private, use the direct messaging feature. When posting to the pages of friends and family, keep in mind that their privacy settings are likely different from yours, and anyone following them can see what you post. Just remember what information you want to keep private and what you want public and then have fun with it! The idea behind passwords is that they keep your information safe. It’s important to always choose different passwords that are unique and include a mix of letters, numbers, and special characters. If you struggle to remember your passwords, write them down and store them in a place where you’ll be able to easily access them when you need them. For tips on how to choose a strong password, read here! There is a reason why the internet has become so integral to our society, it’s because it’s so incredibly useful. When using a smartphone, laptop, smartTV, or any other new technology, don’t be afraid to take advantage of their features! Below are a few shortcuts, tips, and aspects of technologies that can make your life easier. Technology can be a blessing if you take the time to learn how to navigate it, we hope you can use these tips to make the most out of technology and protect yourself from any scams or missteps online. 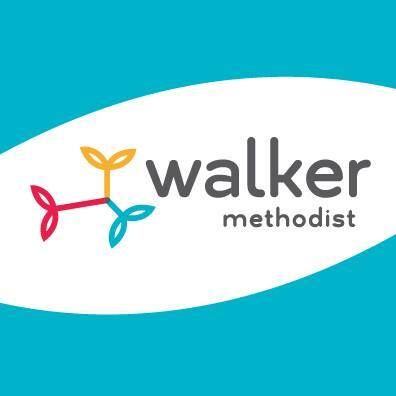 For more tips for older adults, check out our Walker Methodist blog!